October 13, 2015 – We can’t see the wind, but we can learn about it by observing things that are being blown about. And by studying changes in a comet’s bright tail of gas and ions, scientists are on the trail to solving two big mysteries about the solar wind, the supersonic outflow of electrically charged gas from the Sun’s million-degree upper atmosphere or corona. That turbulence can help explain two of the wind’s most curious features: its variable nature and unexpectedly high temperatures. 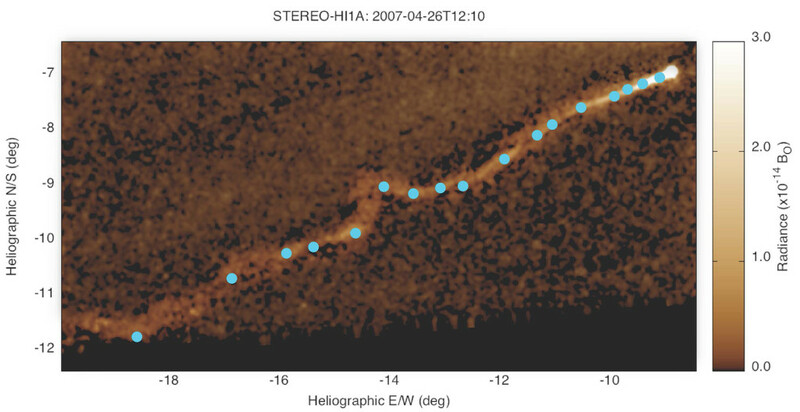 A paper on the STEREO results was published in The Astrophysical Journal on October 13, 2015.